“Went diving yesterday. Like an idiot, he surfaced too quickly. Like a bigger idiot, he boarded a flight which is pressurized to 8,000 feet above sea level. Low pressure is killing him. Tell the pilot to dive until we can club baby seals out of the window.” -House M.D. If you aren’t familiar with the popular TV series House M.D. that ran from 2004-2012 you must not have owned a television. 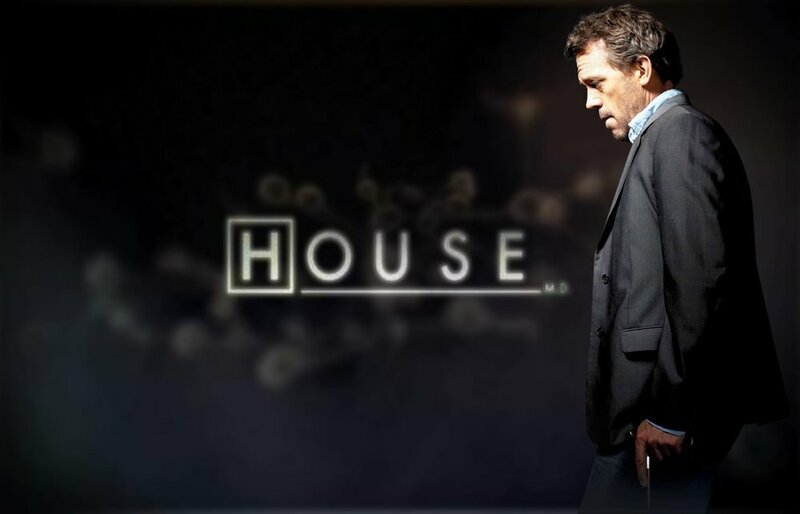 It was made famous by the incredible, loveable, and detestable character Dr. Gregory House, and brought to life by actor Hugh Laurie—Total Babe. The average viewer loved the drama and darkly sarcastic comments but, to the medical world, the show left something to be desired. Morrison rates the validity of each episode and storyline on an A-F basis, and if anyone would know, it would be this guy. His blog, Polite Dissent, has a medical review for—no lie—every single episode. Its unclear to us how Dr. Morrison finds the time for that sort of thing, but we’re grateful when stumbling upon it when embarking on this post. Several ‘airplane experts’ in the comment section of Dr. Morrison’s blog are angry because the seating is totally unrealistic. So that part gets a D for stupid chair arrangement. The reason we are writing about a medical drama on a diving blog is because—you guessed it—there is an episode with a diving related injury. 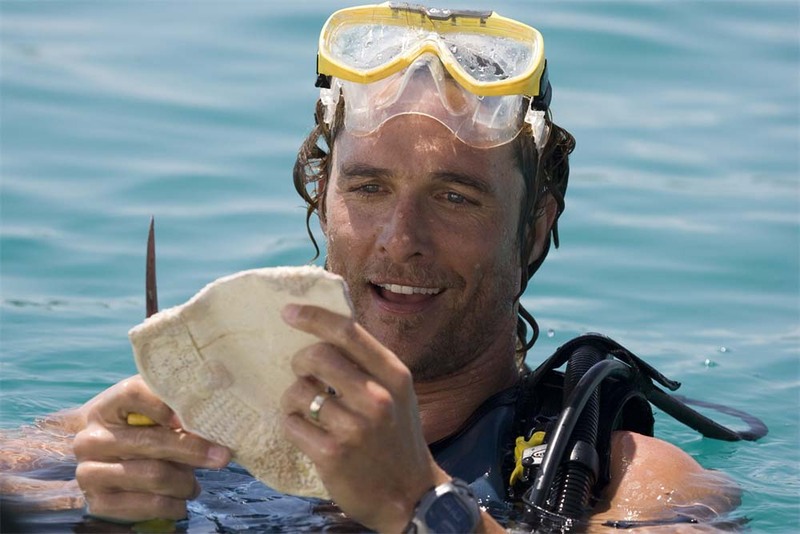 We don’t know about you guys, but whenever we stumble upon any reference, scene, or anything SCUBA related in a movie or on TV we get obsessed. Partially judging it’s objective accuracy, and partially just being excited to see SCUBA represented. However, when searching this particular episode we found Morrison’s quote wholly disappointing; “I felt the medicine was decent this time, particularly the airplane scenes.”, and that was it. Come on man, we want to know more! 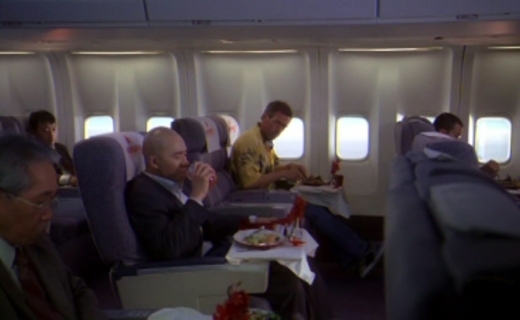 House and his boss Cuddy are aboard a plane leaving Singapore when this guy Peng starts to look really rough. He appears dizzy, nauseous, and is in obvious distress. His skin is grey and sweaty. He then begins to vomit all over his food tray. At this point, there is some – according to the comment section of Dr. Morrisons blog – questionable Filipino from the air hostess who then determines the guy only speaks Korean. So, House and Cuddy start doing what they do and the diagnosis jumps from thing to thing. They also realize that inconveniently this plane is flying over the North Pole and has nowhere to land prior to their destination. We then see Peng being described as having a fever, severe abdominal pain, and, a rash on the lower back. Cue Dramatic and incorrect diagnosis. Sometime later House shouts at the man to stand up. Peng is shaking, staggering, and, proceeds to fall down. Dr. House adds ‘Extension Posturing’ to the list of signs and describes Peng as having focal limb paralysis. This escalates to a scene where House and crew are holding Peng down in order to cut what they believe to be a cocaine filled condom from his abdomen. The kid applies pressure to Peng’s shoulder and he appears to experience relief. House notices and repeats the same action on Peng’s knee, again, exhibiting relief. House puts the scalpel down and asks to see Peng’s wallet. Inside he finds a PADI card (We are not able to see the certification level) and a receipt for dive rental equipment from the day before. They call for the pilot to descend below 1524m. (5 000ft). It ends with Peng leaving the plane alive but on a stretcher. The first aspect of the episode I wanted to investigate was the airplane. How could a commercial flight that travels from South-East Asia/China to the United States not have emergency landing sites? It turns out that it does. Although, Nunavut might not be teeming with dive doctors and recompression chambers it would still have likely been a better option than maintaining the altitude. We also read that in order to keep fuel temperature from freezing these flights often descend around 3000m over the arctic presumably increasing cabin pressure. This could explain why Peng’s symptoms worsened as they approached the U.S.
Also, would these airlines really just leave you to the mercy of these two doctors? We asked our friend Laura who has worked in the industry and she said that if a medical emergency did occur (dive related or not), protocol required the crew to inquire if anyone with medical training was on board, if not, they had an emergency line to call that would determine the status of the patient and provide EFR as needed. If necessary, they would be instructed to land the plane. She also recalls being briefed on DCS and minimum no fly times, 12 hours for single dives, 18 hours for multiple which, corresponds with DAN (Divers Alert Network) rules. Cabin crew required a minimum 24 hour window. This portion of our episode is pretty cheesy. However, if they were able to land the plane at anytime, it sure would have taken away from the drama. It’s pretty misleading but, we will give the writers this one. According to a study done by DAN , they discovered the acceptable minimum no fly times were difficult to determine because the low acceptable risk to the test volunteers. Incidences of neurological DCS were too high to continue testing. Basically they were able to find that the current rules (at 1% risk rate) were acceptable, anything below was unsafe to determine. Next up, Peng was described as having likely experienced symptoms before he got on a flight that was then ascending to an altitude that at it’s highest would maintain a pressure of .76 bar (the limit for any commercial flight). So why did Peng do it? As a certified diver he should have been able to recognize the symptoms. The thing is, is that this is a lot more common than you think. One of the first indicators of a DCS hit can be denial. The most common manifestations of DCS are joint pain and numbness or tingling. Next most common are muscular weakness and inability to empty a full bladder. Severe DCS is easy to identify because the signs and symptoms are obvious. However, most DCS manifests subtly with a minor joint ache or a paresthesia (an abnormal sensation like burning, tingling or ticking) in an extremity. Most of these symptoms then get blamed on something else. Tight suits, heavy lifting, or, other non-diving related activities. So it’s not actually that unbelievable that dear old Peng didn’t recognize his symptoms. He is also an entirely fictional character so we won’t let this aspect stress us too much. Drama aside, lets break this down to determine if DCS is a plausible explanation for these signs and symptoms. 1. Dizziness- A clear and common indicator. 2. Nausea- And delightfully, vomiting. 3. Pain/discomfort- The most common symptom of DCS. 4. Rash on lower back– DCS related skin rashes tend to stick to the fatty tissue so this seems pretty accurate. 5. Severe abdominal pain- This one is a hard call, it was determined through zero communication from the patient so it’s lack of correlation with DCS doesn’t really prove anything. 6. Fever- A fever is actually what commonly helps doctors to realize that DCS is not the cause and more likely one of many other commonly linked symptoms such as those of dengue fever. 7. Staggering- Definitely a common sign. It should also be noted that anyone with suspected DCS should not sit or stand. 8. Extension posturing- Although this is not a commonly listed sign of DCS, it could occur in neurological varieties. 10. Confusion/Strange Behaviour- Peng made very little attempt to communicate with the team trying to assess him, so we’ll go ahead and assume that this was another of the common signs of DCS. Other than the glaring mistake of the fever, these symptoms seemed to be pretty accurate. Now, we have never seen anyone exhibiting signs of DCS to this severity but we would imagine that the actor embellished a little in his portrayal. The most concerning aspect of these symptoms are those suggesting neurological type forms of DCS, these would have required some pretty immediate action. So the signs and symptoms for the most part pass the test, the emergency first response does not. 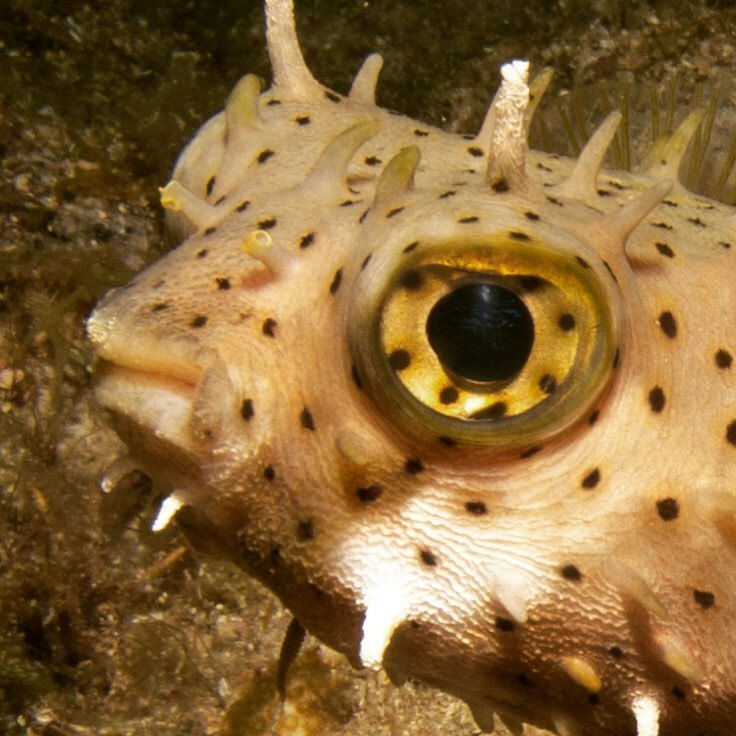 This is our judgemental burrfish, they aren’t always judgemental like turtles are but, that final scene really did his head in. The kicker though for us was the final scene where House finally figures the whole thing out. 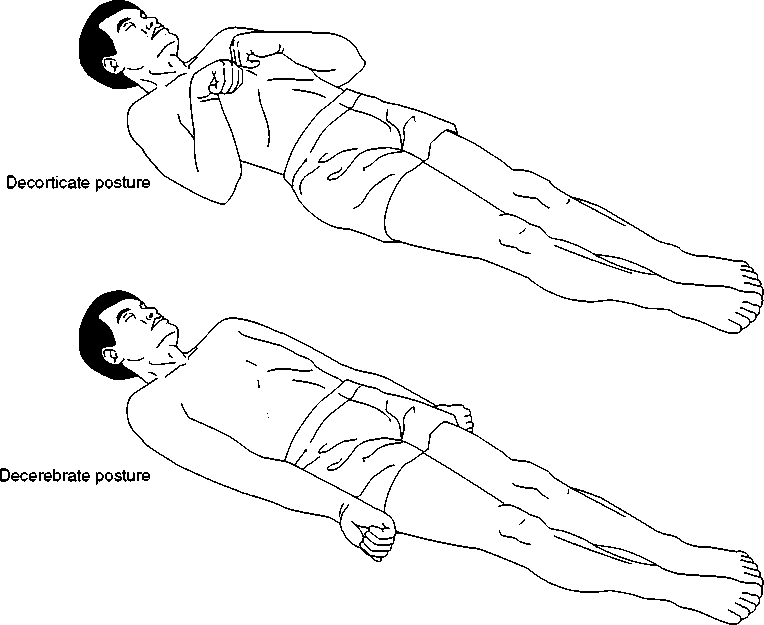 Pressure applied to a joint causing immediate relief? Sorry, but we called [email protected]#$%. We are not a doctors but as a divers we have spent a fair amount of time studying and understanding Decompression Sickness. Some of us have even seen it. It was difficult to believe that a human body could exert the amount of pressure on a joint to simulate a change in atmospheric pressure. It’s clear that some of this was complete garbage. The plane would have been able to land. They may have ended up somewhere near Santa’s house but, it could have worked. The flight staff also, would likely have enacted procedures for landing the plane at the initial symptoms. Especially had any of House and Cuddy’s terrifying diagnosis been correct. As Dr. Morrison would do, I give this section a C. It’s unrealistic, but delightfully dramatic. Peng getting on the plane is far more believable. A lot of divers make the mistake of misdiagnosing their DCS symptoms and very often continue diving or get aboard flights. So this aspect gets an A. 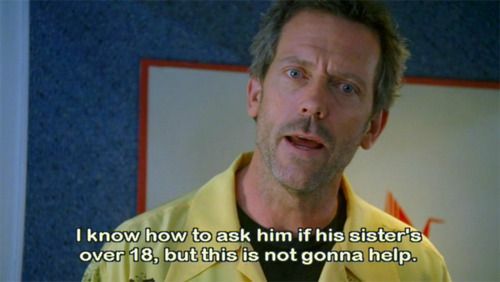 Although, House was maybe unfair for how many times he called him an idiot. The symptoms get a B-. We struggled with this one, the symptoms are all bang on, except for the fever. A fever would be the indicator that proved this probably wasn’t DCS and therefore took the grade way down. The final seen? An F. A big F, less than an F. It’s absolutely unrealistic. If you don’t believe us lets go ask Jonathan, or any other dive doctor for that matter. All in all, though we liked this episode. It was funny, it got us talking, and it gave us fodder for this blog. If you guys have any other movies, shows, books, or whatever that you would like us to take a look at on the subject of diving let us know! We’ll see you all next week. Acknowledgements to Instructor Shane for informing me about the existence of this episode. Thanks to Laura for being my airplane expert. Obvious thanks to Jonathan and Divers Alert Network. Thanks to Forbes, Dr. Morrison, and all the guys on reddit who showed me how to read Morrison’s expired blog. Thank You to Conde Nast Traveler for having all the information about North Pole flight routes in one handy article. All of the articles that I referenced can be linked to in the section in which they are referred. 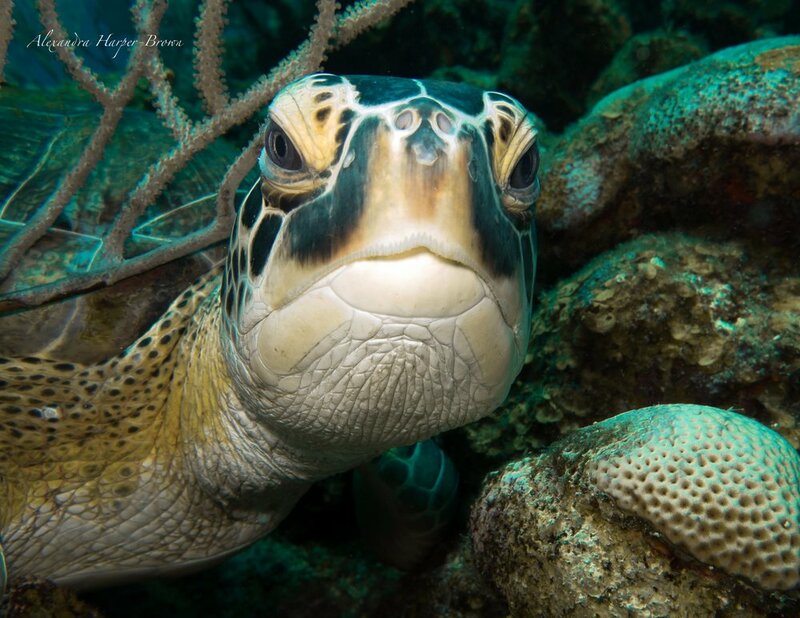 Thanks Alexandra HG Photography for being my resource for epic dive photos.